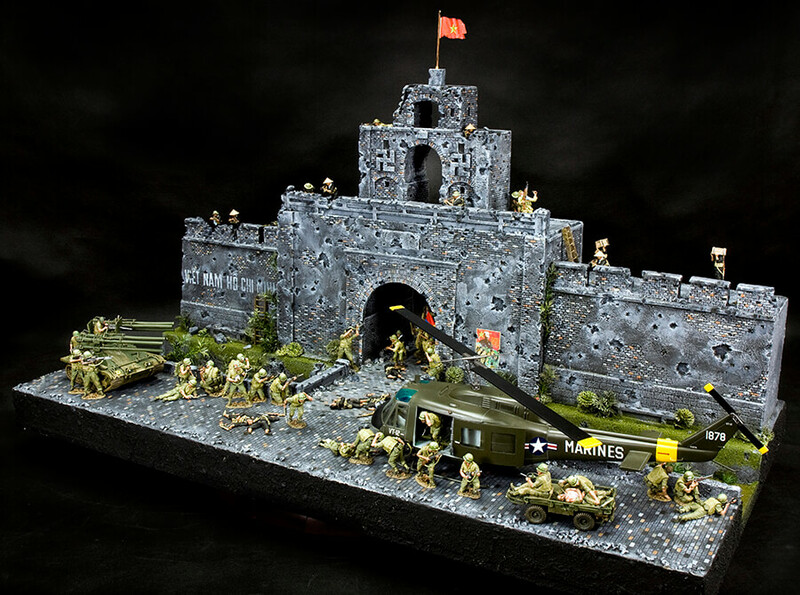 King & Country shows you how, using a little imagination and a selection of our diorama buildings and military miniatures, you too can make your displays ‘come alive‘ and look a lot more exciting. Here’s a closer look at some of our own dramatic displays designed and produced by the K&C Workshop in Hong Kong. Rescue In The Middle of A Firefight! Here is the second of the M113 photos… A WW2 vintage Diamond T, still in Australian service, is utilized to transport an M113 with engine problems back to base. 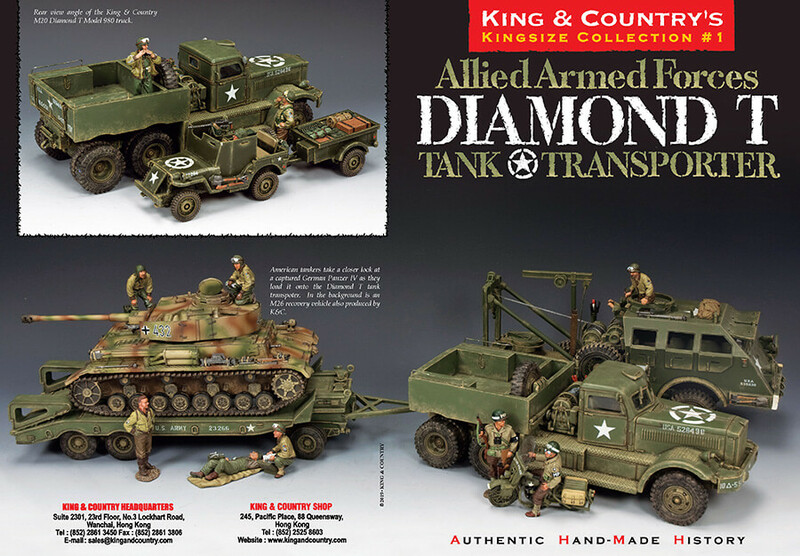 Our U.S. Army Diamond T has been digitally amended and converted into Australian Army markings. Hope you like it. 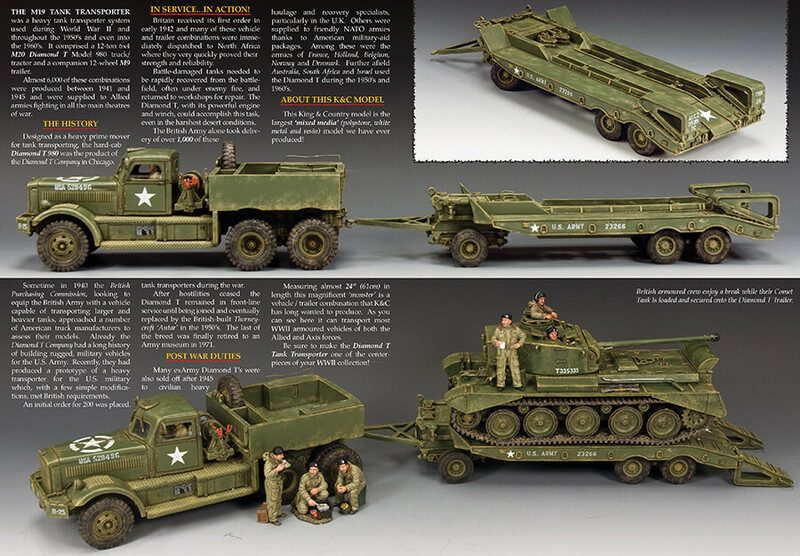 We just received our first few samples of Australian M113’s for K&C’s ‘Aussies in Vietnam’ range. So, we set up a few of them and took some photos. Here is the first one. Hope you like them. 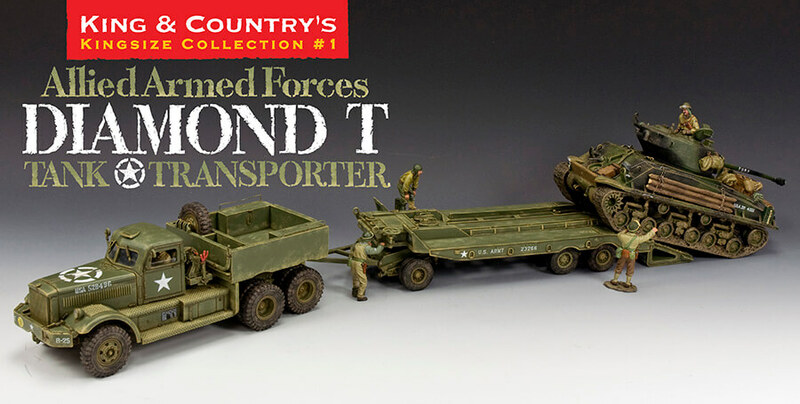 Next month, April, will see the release of possibly the biggest and certainly the longest military vehicle King & Country has ever produced... 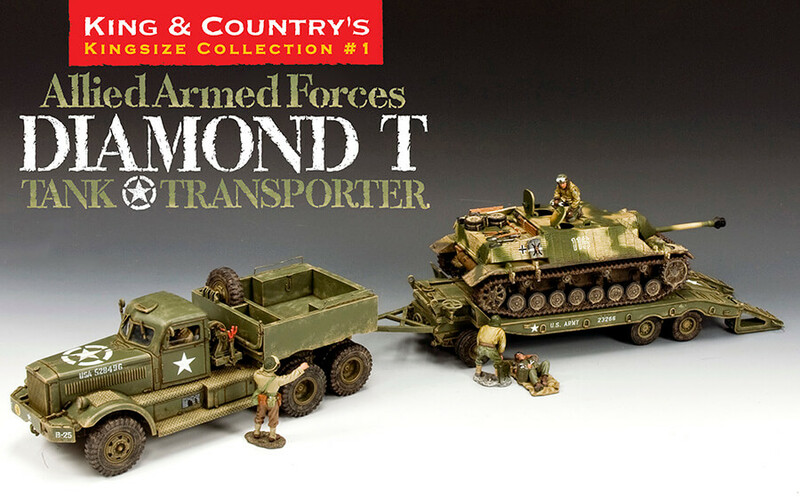 The Diamond T Tank Transporter. 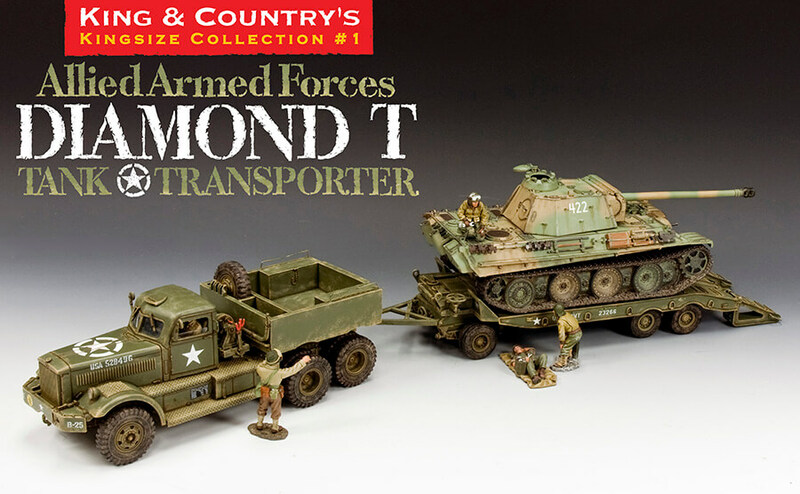 The tractor and trailer are combined in a special box complete with 4 page full colour leaflet. Also I hope to show a ‘desert’ version in the not too distant future. 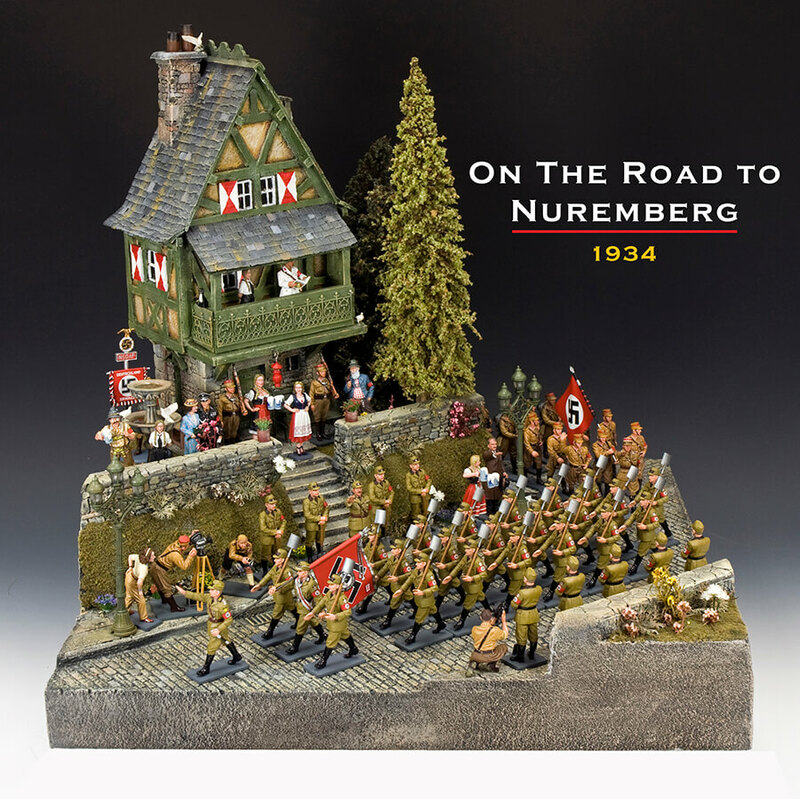 Here is one of our older dioramas which we have relocated to somewhere on the outskirts of Nuremberg as some of the ‘Party Faithful’ make their way to the rally grounds for their big day. Leading the parade are a group of RAD (Reichsarbeitsdients), the Reich Labour Service... smartly polished shovels over their shoulder as they march past. Making up the ‘onlookers’ are some old and new figures. Filming the K&C march past is Leni Reifenstahl and two of her cameramen. 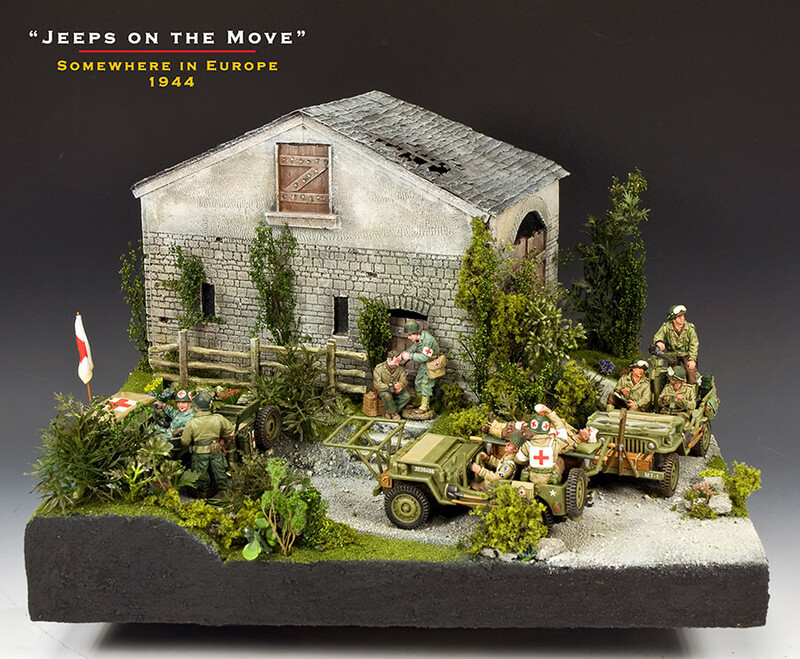 Earlier we showed you this little display with a WW2 theme. 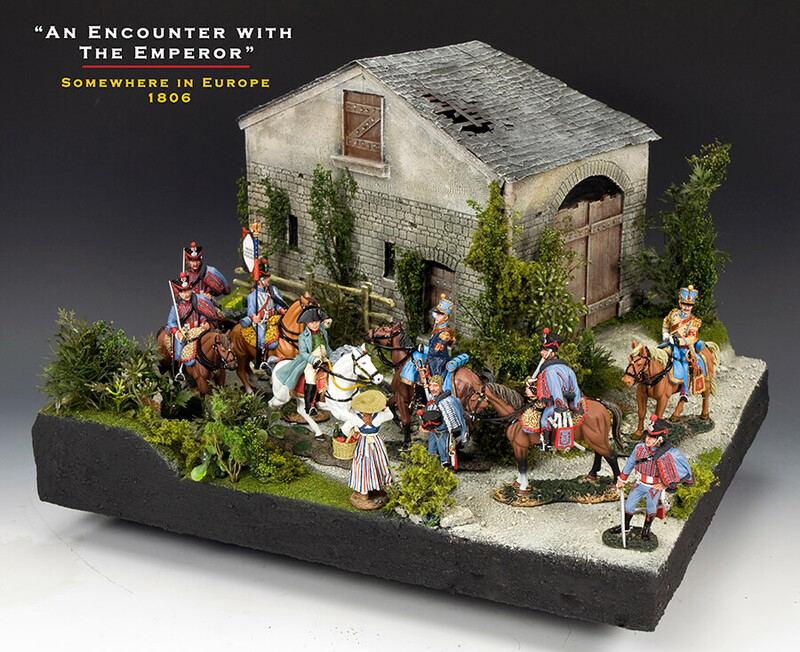 Well, here is the same display with Napoleonic figures... Change of historical period helps tell a different story. We just finished a small 12"X15" dio / display panel for one of our collectors. So, as usual we decided to try a couple of different 'setups' to show off some figures, vehicles and other items. 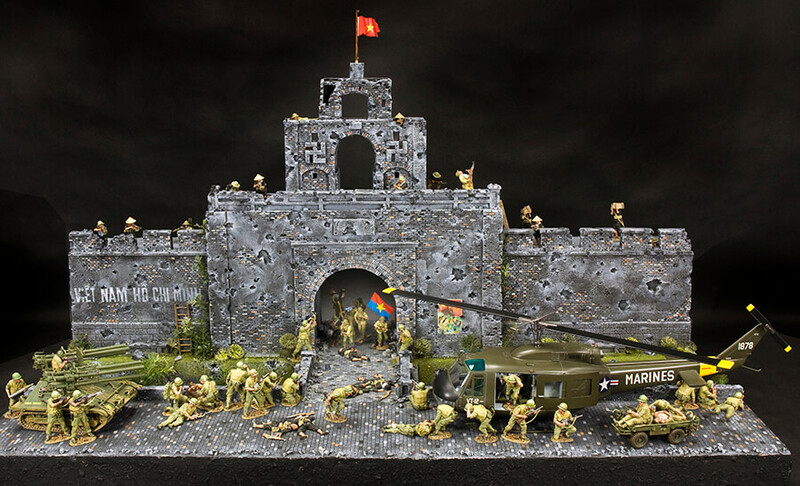 This ‘revised’ Hue Citadel diorama is going to one of K&C’s UK collectors early next week… He requested even more battle damage than the last photos you saw and we have complied with his wishes as you can see. But first it will appear at the London Show this coming Saturday complete with a Huey helicopter too! look forward to seeing some of you guys there. What, we thought, might it look like after the bullets have stopped flying and peace has descended on the scene. 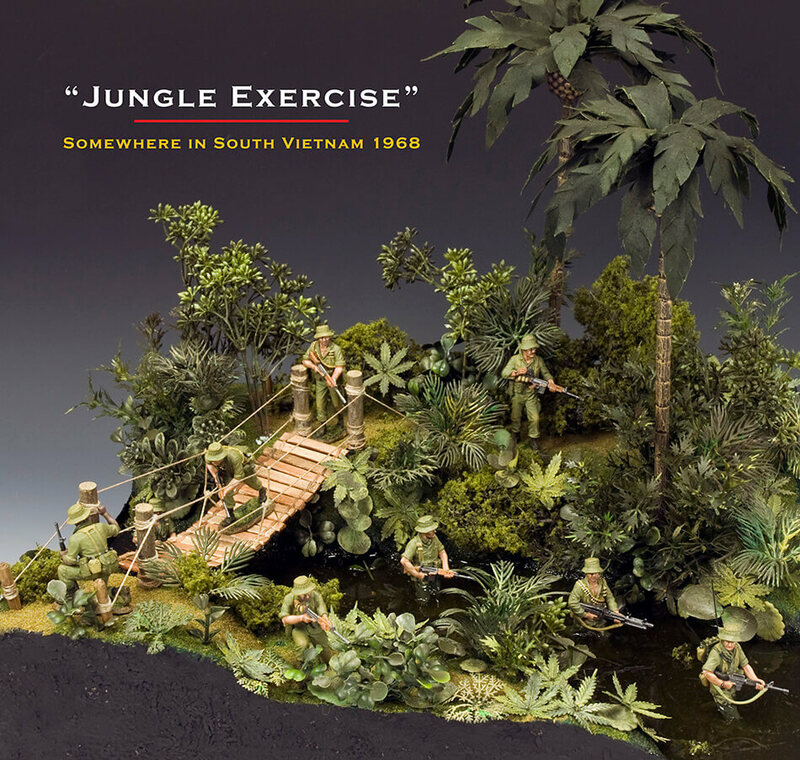 We don’t know if it did happen but we are pretty sure it should have happened... Before heading into the ‘boonies’ for the first time in South Vietnam most troops would have had the opportunity to go ‘on exercise’ to practice their bushcraft and basic infantry skills in a real jungle setting without drawing the undue attention of all those pesky little guys and gals in the trendy black pajamas! The actual dio measures just 12”x 15”... It’s amazing what you can pack into a relatively small area. This was a joint effort by Andy and Gordon.